Prime Minister Nikol Pashinyan met with President of the Council of Ministers of the Republic of Poland Mateusz Jakub Morawiecki in Davos. The parties noted the importance of developing and expanding multilateral cooperation between the two countries, stressing the need to deepen trade and economic ties. The prime ministers of Armenia and Poland agreed to instruct the ministers of economy of the two countries to develop a new agenda for economic cooperation. The two heads of government deemed it necessary to rewind the activity of the Armenian-Polish intergovernmental commission. Nikol Pashinyan and Mateusz Morawiecki made a point of bilateral interaction at the multilateral level, and in particular, in the framework of the EU-Armenia Comprehensive and Enhanced Partnership Agreement (CEPA). Prime Minister Pashinyan advised that multifaceted and comprehensive reforms are being implemented in Armenia. He pointed out that the programs specified in the aforementioned agreement will provide for effective implementation of his government’s reforms. In this context, the Armenian Premier stressed the importance of ratifying the agreement by the EU as soon as possible. Welcoming the democratic transformations underway in our country, Mateusz Morawiecki assured that Poland will do everything in its power to promote the process of ratification and support the ongoing reforms. At the same time, the head of the Polish government noted that he was impressed by the recent developments in Armenia. 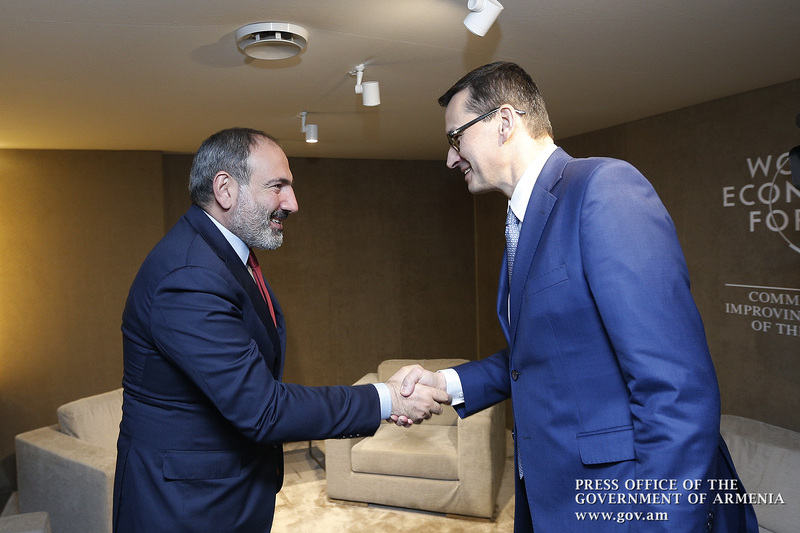 Mateusz Morawiecki invited Nikol Pashinyan to visit Poland for a more detailed discussion of issues on the agenda of bilateral relations.